It has been quite awhile since I last posted a blog entry here. Following my illness I spent a lot of time playing catch up on all the work projects that help to put the bread and butter on the table. Therefore I have not spent much time on either my photography or my writing. I viewed my absence as a sabbatical of sorts. An attempt to regroup my creative juices. However, wonders never cease in regards to the creative energy I have put out into the world over the past year. This month two amazing things have come to fruition from those past creative moments. 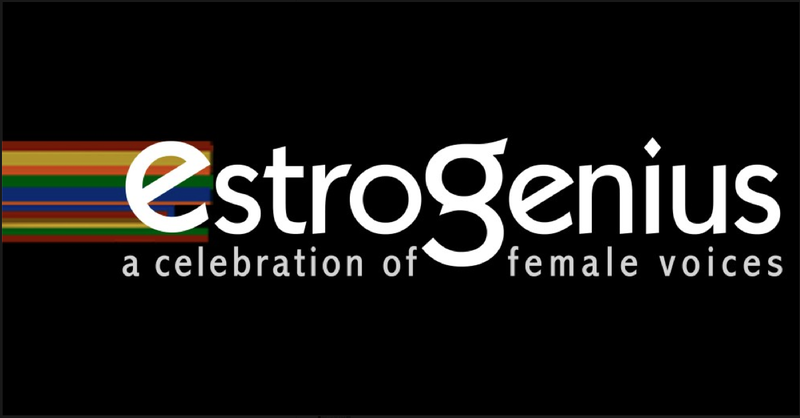 The first was news that my essay from the Seal Press book “Dancing at the Shame Prom: Sharing the Stories That Kept Us Small” was chosen as one of 8 pieces to be adapted for a stage production at the 14th Annual Estrogenius Festival in New York City. The piece is being directed by Ashley Marinaccio, Founder and Artistic Director of the amazing group “Girl Be Heard.” The performance will be on October 21st at 7:30PM at Stage Left Studio, NYC. The second bit of news occurs tonight in New York City. 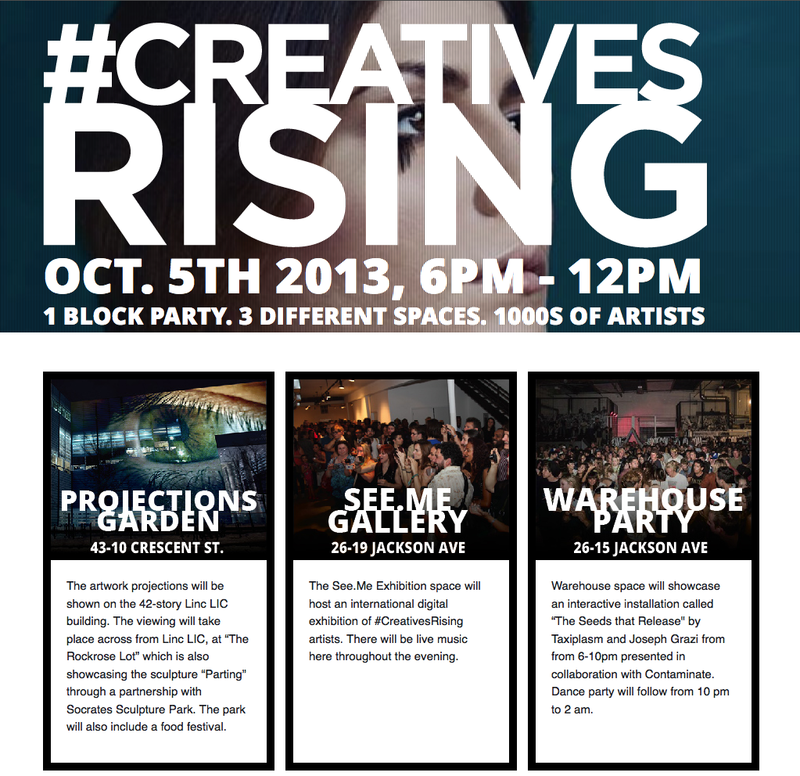 One of my photographs is being projected onto the side of the 42 story Linc LIC building at 43-10 Crescent Street, NYC for the “Creatives Rising” event. My work will also be shown in the See.Me Gallery, 26-19 Jackson on Screen 8. The event runs from 6pm-12am tonight and beyond. I’m hoping to move back into creative mode now that my work projects and busy life have equalized and hope to post more regularly again from this point forward. This entry was posted on Saturday, October 5th, 2013 at 5:56 pm	and tagged with Creatives Rising, Estrogenius Festival, iPhoneography, memoir, mobile photography, photography, See.Me, writing and posted in iPhoneography, Memoir. You can follow any responses to this entry through the RSS 2.0 feed.